Shirdi is the mystical town fragrant with the devotional intensity that sees devotees from across the world. Highly placed on the world map of spirituality, Shirdi is located in Ahmednagar district of Maharashtra and close to the holy city of Nasik. Sited about 300 kms from Mumbai, the town has a mystic aura about itself.Shirdi is best known as the late 19th century home of the popular guru Shirdi Sai Baba. This place is acclaimed for its spiritual importance and the eminent saint Sai Baba spent the most important part of his life here. Such is the devotional strength of the place that even a casual visitor cannot remain unaffected by the faith and conviction of the devotees on Saibaba. It is a popular pilgrim place and is famous for its Sai Baba Temple. He worshipped both at temples and mosques. His life and teachings are wonderful semblance of both faiths. 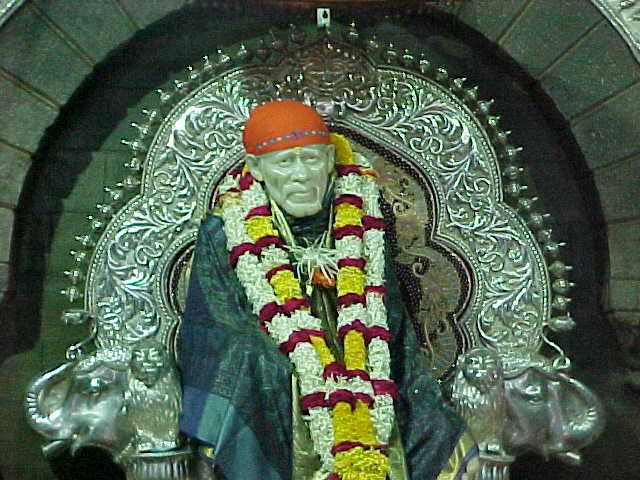 Saibaba is believed to have arrived at the village of Shirdi when he was about sixteen years old. He lived an extremely simple and ascetic life. He has been attributed numerous miracles which still live expanding the list of his devotees. 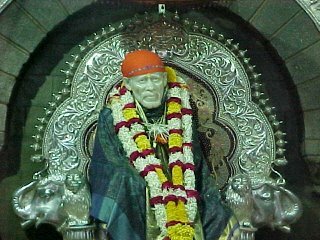 Today Saibaba temples are all across India and even beyond. People started believing him to be an incarnation of God and called him Sai or saint. An ardent devotee built the Sai Samadhi Mandir here, which has become the nerve center of religious activities in the state.This sacred place is strewn with a number of pilgrimage spots including the Sai Baba Temple, Shri Khandoba Mandir, Dwarkamai (Mosque), Chawadi, Lendi Baug, Samadhi of Abdulbaba and Maruti Temple.This significantly contributes to travel and tourism, as thousands of pilgrims visit the place from different corners of the world. The most remarkable verity about this place is that here you will find people from all religions and communities, without any kind of discrimination. Shri Sai Baba Temple - Built by an ardent devotee of Sai Baba, the temple is thronged by thousands every year. The temple houses a life size statue of Sai Baba, made of Italian marble. He can be seen seated on a giant throne with a silver umbrella over his head. Shri Gurusthan Mandir - It is believed to be the same place, where Shri Sai first appeared in Shirdi, at the age of sixteen. Dwarkamai - It is the mosque where Sai Baba stayed, when he came to Shirdi for the second time. Situated towards right side of the temple, it still preserves the rock where Sai Baba used to sit. The eternal flame lighted by Baba is kept alive since then and vibhuti (sacred ash) is distributed amongst devotees. Lendi Gardens - It is the place for meditation, where Baba used to come for a walk every day .There is a Neem tree here, under which a diya (lamp) used to be lit by him. It has now been converted into a marble lighthouse, where the lamp continues to burn. Samadhi of Abdulbaba - It is the grave of the person, who used to read holy Quran to Baba. Since Abdulbaba was a devoted disciple of Baba, his Samadhi is situated in the premises of Sri Sai Baba Temple. Maruti Temple - Sai Baba visited this temple regularly and even conducted satsangs.